'James Brown: Live At The Apollo Vol. 4' Is A Marvelous And Mysterious Time Capsule The 1972 concerts at The Apollo were recorded but, inexplicably, never released — until now. They show a side of Brown content to turn the show over to his collaborators. The latest release of James Brown's music, Get Down with James Brown: Live at the Apollo Vol 4, was recorded in 1972 — and finally released this year. 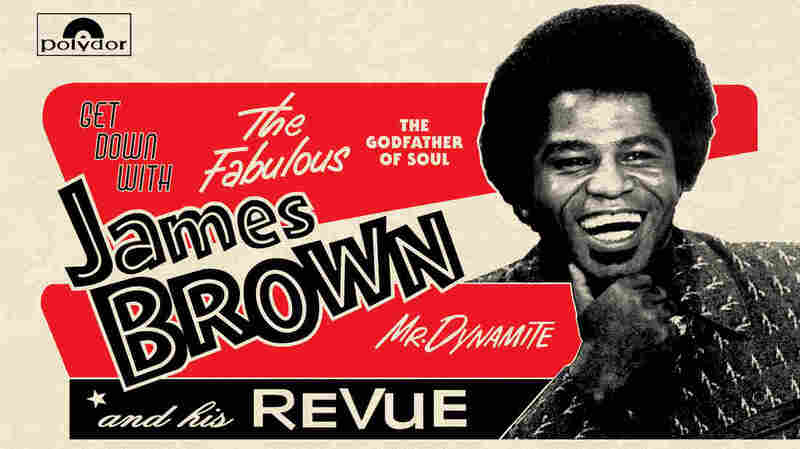 The names James Brown and Apollo Theater have practically become synonymous; it's hard to think of one without the other. Beginning in 1963, Brown released three albums recorded there. But there was a fourth — recordings from Sept. 13 and 14, 1972 — that has been buried ever since. Now, Get Down with James Brown: Live At The Apollo Vol. 4 is finally out on vinyl, with a CD to follow this summer. Though the shows and recordings from those September nights went smoothly, the master tapes sat on a shelf for the next four decades. To this day, it's not clear Imade the decision to ice Live At The Apollo Volume 4: Brown himself, or his then label, Polydor. Now that it has been released, the performance is a marvelous time capsule, a window into a time when Brown was everywhere: on the radio, on television, in the public imagination. In all fairness, this release was never going to be as groundbreaking as the first 1963 Apollo recording — and Revolution of the Mind, the third in the series, had just come out the year before Vol. 4 was recorded. But this lost concert was different from its predecessors because, for once, Brown seemed content to hang in the background and turn the show over to the other artists in his stable, especially his band, The J.B.'s. Also featured was Brown's right-hand man Bobby Byrd, and Lyn Collins, a.k.a the Female Preacher. Brown himself sings lead on just one song. What's more interesting are his interactions with the crowd, including a remarkable five-minute riff in which he gives praise to The Jackson 5 and Isaac Hayes while also offering his own analysis of black images in Hollywood. It is, perhaps, a little greedy to want to hear more of Brown the singer on here; after all, he recorded or produced at least four other albums in 1972 alone. But there's still something moving about hearing him now — 10 years after his death and more than 40 years after this taping — speaking to us as if we were in one of those Apollo seats, listening to Soul Brother No. 1 ask us for permission to get funky. There could only be one reply.